Beijing should be denied access to islands it has built in the disputed South China Sea, according to Donald Trump’s nominee for secretary of state, Rex Tillerson, who likened the construction to “Russia taking Crimea” from Ukraine. Tillerson did not elaborate on how exactly Beijing might be blocked from the artificial islands but said he considered its South China Sea activity "extremely worrisome." It would be a threat to the "entire global economy" if Beijing were able to dictate access to the waterway, he added. Tillerson branded as "illegal" the Chinese declaration of an air defense zone in the East China Sea, which Beijing contests with Japan. The former CEO, 64, blamed the situation on what he called an inadequate response from the outgoing Obama administration. "The failure of a response has allowed them [China] just to keep pushing the envelope on this," he said. "The way we’ve got to deal with this is we’ve got to show back up in the region with our traditional allies in Southeast Asia," Tillerson noted. A bid to blockade China's man-made islands would be a significant step that Washington has up to now not raised even as an option. "This is the sort of off-the-cuff remark akin to a tweet that pours fuel on the fire and maybe makes things worse,” Malcolm Davis, a senior analyst at the Australian Strategic Policy Institute in Canberra, told Bloomberg. "Short of going to war with China, there is nothing the Americans can do," he added. — Ashley Townshend (@ashleytownshend) 12 января 2017 г. — Mira Rapp-Hooper (@MiraRappHooper) 11 января 2017 г. The Center for International and Strategic Studies, a US think tank, said in a report released in mid-December that recent satellite images appear to show that China has installed anti-aircraft and anti-missile weapons on all seven of China’s newly-created islands. “China appears to have built significant point-defense capabilities, in the form of large anti-aircraft guns and probable close-in weapons systems (CIWS), at each of its outposts in the Spratly Islands,” it said. The South China Sea, a waterway of strategic importance through which some $5 trillion of trade passes each year, has been at the center of tensions between multiple nations contesting waterway and offshore resources. China, the Philippines, Vietnam, Malaysia, Brunei and Taiwan – which Beijing considers part of its territory – have overlapping claims in the region. 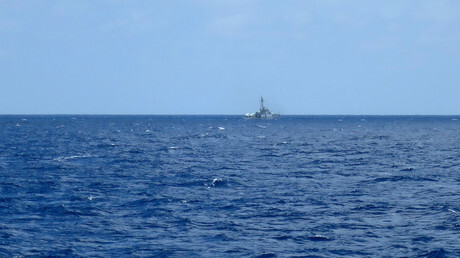 Last year in July, a United Nations court of arbitration ruled that there was no evidence that China historically had exclusive control over the waters or resources, hence there was “no legal basis for China to claim historic rights.” Beijing continues to claim the reefs in defiance of a Hague International Arbitration Court verdict. Washington has intensified constant warship maneuvering near the artificial islands that Beijing has built, arguing that sailing and flights over the disputed waters are conducted according to the principle of Freedom of Navigation (FON). Meanwhile, according to a report by the National Institute for South China Sea Studies (NISCSS), China has recently become the “No. 1 targeted country” of the US in terms of close reconnaissance. More than 700 patrols were conducted by US vessels and aircraft in the South China Sea region in 2015. 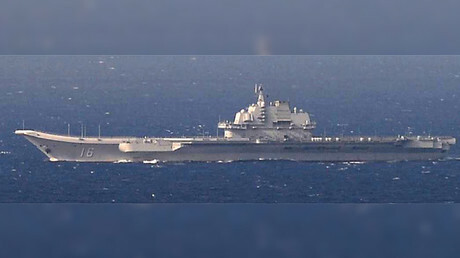 “Such activities have not only threatened China’s national security, damaged China’s relevant maritime rights and interests and undermined Sino-US strategic mutual trust, but is also very likely to lead to accidental collisions at sea or in the air,” the report by the government think tank noted in November. Tensions escalated last month after a Chinese naval vessel spotted and seized a piece of “unidentified equipment” in the South China Sea, which turned out to an underwater US drone. US President-elect Trump accused Beijing of “stealing” the device. “China steals United States Navy research drone in international waters – rips it out of water and takes it to China in unprecedented act,” Trump tweeted. — Donald J. Trump (@realDonaldTrump) 17 декабря 2016 г. "We should tell China that we don't want the drone they stole back – let them keep it!” he wrote in another tweet. According to Pentagon spokesman Navy Captain Jeff Davis, the drone was seized while collecting unclassified scientific data. “It is ours,” he told reporters at the time of the incident, adding that the device was worth about $150,000. “It’s clearly marked as ours. We would like it back, and we would like this not to happen again,” Davis noted. 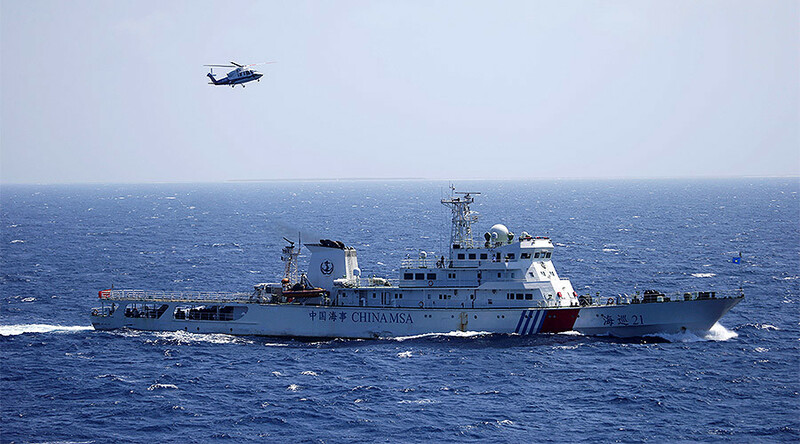 Beijing accused the US of repeatedly dispatching vessels and aircraft to carry out “close-in reconnaissance and military survey within Chinese waters, but later promised to return the device, criticizing Washington for “hyping up” the incident.